Academy Award winners Javier Bardem and Penélope Cruz lead the new trailer for Academy Award-winning writer-director Asghar Farhadi’s Everybody Knows. 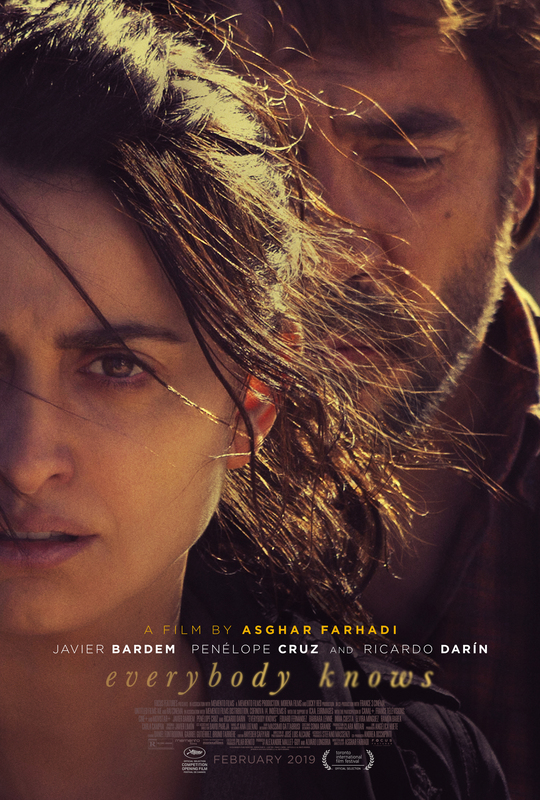 Following up Farhadi’s tradition of tense moral dramas like A Separation and The Salesman, Everybody Knows follows Laura (Cruz) as she travels from Argentina to her small Spain hometown for her sister’s wedding, bringing two children along for the occasion. When her eldest daughter is abducted, various family and community tensions come to the forefront and deeply held secrets are revealed in the tense days that follow. Bardem, Cruz’s real-life husband, stars as Paco, a former lover of Laura’s who owns a vineyard in her hometown. The first trailer came from Memento Films, the French production company behind the film, but the latest comes from Focus Features, which acquired Everybody Knows at the 2018 Cannes Film Festival, where it was the opening night film. You can check out Paste’s Cannes review of Everybody Knows here. Focus Features releases Everybody Knows in select U.S. theaters on Feb. 8, 2019. Watch the trailer and a new clip from the film below, and check out the striking poster further down.